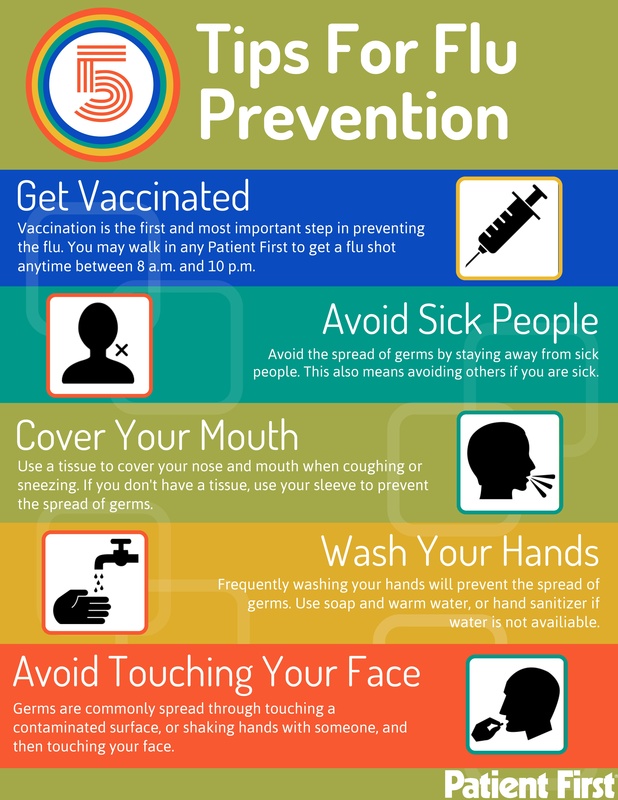 Get Vaccinated – The Centers for Disease Control and Prevention (CDC) recommends that anyone over the age of 6 months be vaccinated against the flu. Patient First offers flu shots every day. Wash Your Hands – This is the single most important way to stop the spread of flu and colds. According to the CDC, about 80% of infectious diseases spread through touch alone. Scrub with soap and water for at least 20 seconds. Hand sanitizer containing at least 60% alcohol is a good substitute if soap and water are not available. Cover-Up When You Sneeze and Cough - Many of us were taught to cover our mouths and noses with our hands when sneezing and coughing. A better option is to use the crook of your elbow or a tissue when available. This way the germs will not get onto your hands and spread through contact with others. Disinfect – Flu and cold germs can live on surfaces for hours. Disinfecting items like remote controls, doorknobs, tabletops, keyboards, phones, and toys can kill germs and stop them from spreading. Do not Share Your Germs - Take steps to stop the spread of flu and colds at home and work. Stay home from work when you know you are sick. The same goes for sending sick children to school. Keep them home. If you have the flu, be sure to stay home until you have been fever-free without medicine for at least 24 hours to avoid making others sick. Live Healthy - Help yourself win the battle of the bug by eating healthy, getting a good night sleep, exercising, and reducing stress. These things can help strengthen your immune system and potentially make your body more capable of fighting a cold or virus. Patient First physicians are available to talk about more ways to fight the flu and colds. Please contact Brooke Waller or email brooke.waller@patientfirst.com for interviews. All Patient First Medical Centers are open 8 a.m. to 10 p.m. every day of the year, including holidays. Patient First provides non-appointment urgent care for routine injuries and illnesses, as well as primary care for patients who do not have a regular physician. Each Patient First center has on-site digital x-ray, on-site laboratory, and on-site prescription drugs. 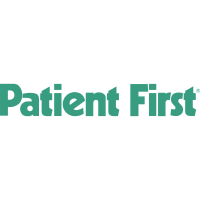 Patient First currently operates medical centers in Virginia, Maryland, Pennsylvania, and New Jersey.